How much money can be saved by applying intravenous antibiotics once instead of several times a day? The preparation, administration and monitoring of intravenous (IV) applications are time consuming and require human resources. We estimated the potential time and cost savings by replacing antibiotics given 3–4 times daily with antibiotics with similar spectrum and efficacy given once daily. The savings of indirect costs were estimated based on the antibiotic consumption data of a two-year period (i.e. 2007 and 2008), a nurse’s mean workload per application and the average nurse’s salary in Switzerland. The consumption of IV antibiotics in 2007 and 2008 at the University Hospital of Basel was 29.0 and 32.2 defined daily doses (DDD) per 100 patient days, respectively. 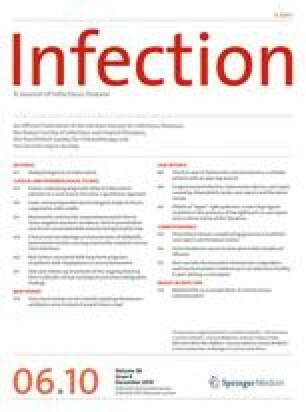 Nurses spent an estimated 13,786 h on the application of the estimated 82,715 does of IV antibiotics. A total of 56,404 applications or nursing staff time costs of 338,436 Swiss Francs (CHF; 236,669 €), equal to 16% of the overall costs spent on purchasing antibiotics in the year 2008, may have been saved by switching multiple-dose antibiotics to a hypothetical once-daily antibiotic. Including disposable materials, 21% or 456,884 CHF (319,499 €) could be saved annually (purchase costs not taken into account). We found a potential cost saving of 21% of the purchase costs in a 750-bed institution. Hence, indirect costs should be included in the calculation of the total cost for the application of broad-spectrum IV antibiotics. Switching from a 3–4 times daily application to a once-daily antibiotic should be considered if a once-daily antibiotic is deemed equally effective and has a similar spectrum. This work was supported by an unrestricted grant from Merck Sharp & Dohme-Chibret (MSD) AG, Switzerland. The study sponsor did not participate in the study design, data analysis, collection, data interpretation or in the decision to submit this article for publication.